Buti-Bag Buti-bag aims to fulfill the need of moms everywhere seeking a items that are not only smart and versatile, but stylish as well. They create accessories for use by moms and kids in babyhood and beyond. Their uniquely designed Pods will keep your wet wipes moist for months instead of just days! Each buti pod is a soft and durable yet super-flexible and feather-light plastic pouch featuring a center zipper for easy wipes dispensing. Not only do they retain moisture in wet wipes of all kinds, they can also keep dry items DRY and organized, such as coupons, receipts and more. Similar in feel to a very thick ziploc bag, the are the best option to carry around those wipes for when you need them most. Made from environmentally-friendly EVA plastic, pods are recyclable and free from lead, BPA and phthalates. Castle & Bay Bridging the gap between inflatables and hard chairs the portable two-piece Sphinx Personal Lounger is perfect for the beach, pool or the hotel room. The media holder will hold the pages of your book open while lying on your tummy then doubles as a bolster while lying on your back. It has its own cup holder and cooler. Use the chest piece as a meditation cushion, as a kick board or float in the water or even as a lap tray. The Sphinx stows in its own mesh carry bag with a shoulder strap, weighs 2lbs., takes 12 breaths to inflate and deflates to the size of a loaf of bread. Take it with you anywhere as it stows in your beach bag or your suitcase. Wristy Buddy Wristy Buddy is a one piece teething wristband designed for babies that are teething that haven’t developed the motor skills to hold traditional teething devices yet. Babies that can’t grasp toys can manipulate Wristy Buddy. Wristy Buddy is made of absorbent materials to help keep little effaces and clothing dry. Its various textures and colors engage and stimulate. It is easily accessible to your teething baby and is more sanitary than traditional teething objects. Sand Gone Sand Gone is a dry powder that when applied to sandy parts of your body removes the sand leaving your skin soft and smooth. Works on both wet and dry skin. All natural ingredients with a coconut fragrance. A must for beachgoers or after playing in the sand. Baby Dipper The Baby Dipper bowl enables easy one-handed feeding of infants by parents and also helps toddlers learn to feed themselves. The Baby Dipper bowl’s unique combination of features includes a non-slip base, a triangular shape, transparent side walls, and a slanted interior that leads to a spoon-shaped collection point in the lower corner. Available in Bubble Blue or Tickled Pink, the Baby Dipper bowl comes with a matching spoon and fork. Bogg Bag Bogg bag is a large, tip-proof, waterproof, washable beach bag. In two sizes and many great colors bogg bag looks great wherever you go. Clear accessory bags pop into bag to keep smaller items at reach. Customize and accessorize with bogg bits for a personal touch. Truly a must have for the beach! 5 Phases 5 Phases is the first bottle feeding system to introduce an interchangeable glass insert. The unique design kept the Eco-mom in mind providing the healthful benefits of glass + the protection of BPA free plastic all while reducing the carbon footprint on the environment! The recyclable translucent plastic sleeve guards against breakage but contains the broken glass and liquid mess if breaking occurs making it a safer alternative in glass bottle feeding. The ability to buy additional glass inserts adds convenience and affordability and reduces the carbon footprint in the environment because you use less plastic. A perfect storage solution for pumped milk and formulas, the glass insert’s grow with me feeding system is ideal for homemade baby food when baby has moved on from their bottles. Now that’s eco- friendly! Time IN Dolls Parents who are looking for a unique kids’ toy that is both educational and useful can find one in Time IN Dolls. The MommyTime and DaddyTime dolls have built in timers that can be used to help teach the concept of time and patience in a way that is fun for children and easier for them to understand. Time is a difficult concept for kids to learn and can be just as difficult for parents to explain. Little ones who play with Time IN Dolls will develop a natural sense of time, especially when used for everyday activities. Learning about time with mom and dad becomes fun and easy with the dolls that also come with bonus features that teach kids basic motor skills: tie laces, Velcro, button, zip and snap! Time IN Dolls can be used for daily tasks like brushing teeth, hand washing, bath time, potty training and more. This also works for giving mom or dad their own personal time. When mom needs 5 minutes to finish up with dinner, let your child play with the doll for those 5 minutes so they learn to wait patiently until mom can give them her full attention. PullyPalz This innovative toy not only entertains baby, it keeps a pacifier in view and reach! With PullyPalz, dropped pacis even come back… Which is great for those times when parents need an ‘extra hand’. The toy uses something similar to a pulley system… When baby drops one, and it falls to the side, another is in view and reach. By grabbing the one in view and pulling toward mouth, the dropped paci comes back! Mo Mo, Moo Moo, and Puddles are always ready to lend a hand…or hoof! Babalu Baby & Kids At Babalu Baby and Kids, they believe in the power of positive messages on children’s apparel. The brand wants to inspire others by promoting love, kindness, hope, dreams, giving back and doing good things for others. The Babalu Brand Tees and Onesies reflects these values. They also are a partner for change with Jake’s Diapers via their One 4 One campaign. For every Babalu Basics cloth diaper purchased in store, they donate one to Jake’s, who in turn supplies orphanages around the world with clean, new cloth diapers. They are in the process of creating their own Non-profit called “Little Wishes” which will allow them to help make simple wishes come true for children in need in their community and beyond. Strong Little Sleepers Strong Little Sleepers specializes in helping families get the sleep they deserve. Lori Strong is a Certified Child Sleep Consultant and Certified Happiest Baby Educator. She works with families through email, phone, and in-home visits in order to help their children (ages 0-6) sleep better. When children sleep, parents sleep, and the entire family is happier! Lori was honored as Best Sleep Expert in the 2013 Austin Birth Awards. Jinja Jewelry Jinja Jewelry draws inspiration for its beautiful, high quality, handmade coral and silver jewelry from local and global trends in affordable jewelry and accessories. The best ideas are carefully crafted into an eclectic line of jewelry using local beach coral for necklaces, bracelets, and rings along with silver, rhodium, and semiprecious stones. Each piece of beautiful Jinja Jewelry is lovingly hand crafted by the people in Bali through a difficult and time consuming process for your wearing pleasure. Buttons Diapers Buttons’ one-size diaper covers are soft, durable, and leak-proof. The doubler-gussets around the legs keep the mess in, so your little one can run, jump, climb, and sleep while your mind is at ease. Elastic at the back and tummy makes a custom fit.The durable snaps allow the covers to adjust to fit any baby (approximately 9-35 lbs.). Daytime inserts are made of 4 layers of absorbent microfiber, with a luxuriously soft layer of fleece on top. Buttons cloth inserts snap into the one-size diapers covers. Plus, they come in 2 sizes for your growing baby (small fits babies 9-20 lbs., large fits babies 20-35 lbs.). Rockin’ Green Rockin’ Green is made for families that care about taking care of themselves and the Earth. We can all do our part for the environment while doing something good for ourselves. Rockin’ Green products are made with a biodegradable plant-based and petroleum-free surfactant. They are septic and grey-water safe. They are never tested on animals. Southern Yankee Southern Yankee is a small one-woman business that rescues vintage fabrics and handcrafted textiles from resale & consignment shops, flea markets and garage sale and turns them into something useful & beautiful. Their slogan is “Through our collecting, we pass on the fabrics of our mothers & grandmothers to our daughters & granddaughters.” Winner receives an apron for your budding artist or chef, Handmade in Wilton CT from a vintage pillowcase. Mountain Dreams Family Sleep Consulting Mountain Dreams provides personalized, one-on-one support to help children develop good sleep habits. Each child is unique as are their sleep problems and your concerns. They will put together a unique plan for your family after discussing your concerns and challenges. They will put this plan together using their vast knowledge and experience in the area of infant and child sleep to develop a customized sleep plan for your family. In addition, they are here to provide education and ongoing emotional support during the services offered. Oh Sew Sporty Oh Sew Sporty Bands feature fashionable grosgrain, glitter or sequin 7/8? or 1.5? ribbon on top, quality velvet ribbon on the bottom. Velvet grips your hair to keep it from sliding and serves to soak up sweat for those sporty girls who want to keep hair and sweat off their face. Sew Sporty Bands are perfect for moms too! Non-slip, adjustable, fashionable headbands – perfect for keeping hair in place and sweat out of your eyes (for those that wear them during exercise). The message of Butterbean is simple. It is about using healthy ingredients that protect the skin from the harmful effects of sun exposure, while complimenting the relationship of people to their environment. Ingredients like non-nano zinc oxide, organic and fair trade coconut oil and shea butter, and beeswax from a local apiary, make our sunscreen good for people and the planet. Our sunscreens provide vitamins and antioxidants that nourish and protect the skin of everyone in the family. weeSpring.com, often described as a “Yelp” for baby products, is a resource that helps new and expecting parents collect advice from their friends about what they need for their baby. Their mission is to make product recommendations from your friends as accessible as Amazon reviews. Founded by parents, for parents, weeSpring is bridging the gap between social networks and e-commerce, making it easy for parents to find the products their friends love. Bumblebean is the place for specialty brands and inspired ideas for moms and kids. We are a community page of support, information, and pictures on anti- vaccination, anti-circumcision, co-sleeping, baby wearing, Zen parenting, natural birthing, anti- cry it out, cloth diapers, natural remedies, breastfeeding (covered, uncovered, and full-term), and the benefits of normalizing it in our culture! We support milk sharing, use of Supplemental Nursing Systems with donor milk, and wet nursing in cases where mamas are faced with exceptional challenges that require supplementation with other milk besides their own, with the last option being organic formula or homemade formulas. We believe that life begins at conception, and do not support, abortion or postcoital methods of “contraception,” including methods which prevent a fertilized egg from implanting, such as IUDs. This page supports Natural Family Planning (NFP). This site is an honest look into my life as a mom and wife. It will be where you can see more of me, my daily life, my very honest thoughts about my kids, marriage, thoughts on things I am reading, cooking, watching, products – basically anything and everything! My name is Kelly and I’m a 38 year old mom of 2 beautiful girls. I started reviewing products entering contests, coupon clipping and freebie hunting about 3 years ago. I love testing and reviewing new and existing products and providing my opinion for viewers to read.I strive to bring you the very best reviews, contests, deals, freebies, coupons, and exclusive blog giveaways that are available on the world wide web every single day! I strongly believe in being frugal, and stretching your hard-earned dollars to the max! Mommy Knows What’s Best is a parenting and family blog that features reviews and giveaways of family-friendly products and services. I’m a Stay at home mother of 6 children. Myrissa is age 17, Jacub is 15, Victorea is 13, Whitnee is 10 and Kirk is 6. And working on the adoption of a 1 year old little girl. We also have quite a few kids who call us Mom and Dad. My husband is studying for the ministry. We are also jr high youth leaders at our church. We are a very busy family. I want to make sure all you other busy moms out there get the deals I do. Griffin’s Honey focuses on everyday life. We focus product reviews, book reviews, frugal living, recipes, crafts, and we provide deal information. Our readership consists of both males and females from every walk of life all over the United States and in other countries as well. The age range of our readers varies so we try to keep our topics broad to appeal to our entire audience. We have a strong community that is growing by leaps and bounds every day. On my blog I do a lot of giveaways and I have a lot of parents that follow me. So this is perfect! I also write recipes, blogging tips and help homeless pets.I love helping people and animals. And that’s what I’m trying to do. I am a working mom that loves to save and find local events with my 2 kiddos! Come join us on our journey of practical frugality…. We are Courtney and Julie, two moms and best friends who met at our neighborhood park a couple years ago. Courtney had just moved here from North Carolina, right near where Julie’s mom resides, so we instantly connected. Both of us had two little ones at home at the time and lived right down the block from each other. We quickly became friends, joined a playgroup together, and spent some wild adventures out and about with our little ones. Last spring, the idea of “The Chirping Moms” originated and quickly took off! On on our blog, we hope to share a little bit of our adventures in “mommy world”. We both are loving the connections that we are making in the blog world and the creative outlet that it brings to our “mama” lives! Since the start of “The Chirping Moms” we sadly had to part as dear neighbors due to a job relocation for Julie’s husband, but are thankful that the blog has helped us stay connected and in touch daily despite the distance. Between us we have five little kids, five and under, and we both spend our days chasing around wild ones. We hope you enjoy our blog as we share more into our daily adventures with little ones, craft and recipe ideas, our favorite tried and true products, and some great places to travel. The Mommy Bunch is a great place to find parenting stories and tips, recipes, crafts, product reviews, travel reviews, and more. Join us to see what we’ve been up to today! We are a company who guides in preparing for Baby through education. We are also host to the Big latch on, Blissful Baby’s BIG Baby Shower, and host of Improving Birth RGV. 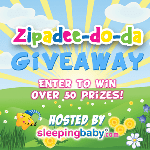 We do several Giveaways for many Mommy owned companies throughout the year. We are a family friendly page. I have a ton of mommy’s on my page and we have fun. Its not all about reviews and giveaways we talk and help each other out. Sweetly Made (Just for you) is a blog about organizational tips, business reviews, giveaways, DIY craft ideas, fun activities for kids, travel ideas, personalized Christmas stockings and more. My name is Kathy and I’m the owner of Kathy’s Savings. I love to share reviews, giveaways, coupons, deals, traveling and so much more. I also enjoying sharing crafts and recipes with everyone once in a while. At DoesMommyLoveIt.com, we have a robust line-up of the coolest reviews and giveaways with social issues awareness in the mix to help you stay informed on the need for the greater good! Resources, Reviews, and Relationship advice for growing families. We are two mommies helping our readers save time, money, and sanity. We do a lot of product/book reviews and giveaways. ABCD Diaries readers come to our blog to get great family advice, homeschooling and natural living anecdotes along with reviews and giveaways. Couponwahm.com is committed to helping YOU save more, spend less and earn an income online. I Heart Giveaways showcases the latest promotions, giveaways and sweeps available online. This blog also features must-have products that will certainly make any consumer happy. Titus 2 Homemaker provides hope and help for the domestically challenged by encouraging women that they aren’t alone, help by providing practical tools for accomplishing the various tasks of homemaking. These tools include ideas, projects, tips, recipes, information, etc. that are of interest to homemakers and/or homeschoolers, from the perspective of a naturally-minded but not a born organized Christian mom. Homemaking is not a niche pursuit; it’s a holistic one. A great place to find reviews of your favorite products, giveaways, a DIY/craft or two, and delicious recipes. My blog is about lifestyle, family, kids, parenting, reviews, travel. Love to share with my readers about life and family events. MyPRGenie is the next generation cloud-based, public relations (PR) and social media marketing platform. MyPRGenie combines a global media database and press release distribution service as well as social media apps and tools – like Tweet Genie and Genie Monitoring – into one easy-to-use public relations platform. Since its inception, thousands of companies across the globe have used MyPRGenie to build a comprehensive, multifaceted PR strategy that significantly increases their visibility, helps them monitor and engage their audience to get found. Social Media 22 is a family-owned web design, PR and internet marketing firm that helps companies gain online visibility and obtain new business using forward-looking marketing strategies. Known for results as well as fair and reasonable pricing, Social Media 22 helps product and service based companies grow to the next level. They specialize in working with mom business owners in the baby/kids industry. This promotion is in no way sponsored, endorsed or administered by, or associated with, Facebook. We hereby release Facebook of any liability. Winner(s) will be contacted by email 48 hours after the giveaway ends. If you have any additional questions – feel free to send us an email: pr@sleepingbaby.com. SleepingBaby.com is not liable for any of the products given away. The brands may send an email once the giveaway is over with a special offer as a thank you for entering.